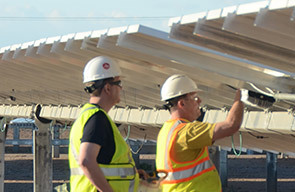 Ampt partners with your engineering team during the PV system design process. Whether it is training or Q&A, we’re by your side. Leverage our experience to maximize cost savings and performance when using Ampt. 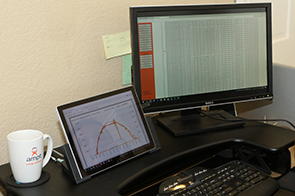 We are here to help you with PVsyst and other modeling tools to project system lifetime performance improvements with Ampt. Leverage our experience during the financial analysis phase to maximize ROI using Ampt. 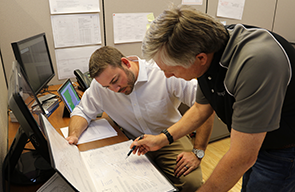 Ampt’s team of experienced Field Applications Engineers are ready to train your staff before installation. Ampt can also provide a support presence during system commissioning in an advisory role. 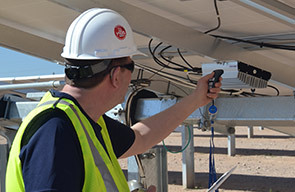 Ampt’s optional wireless communications provides string-level data that can be used to verify the system operation during commissioning and throughout the system lifetime. 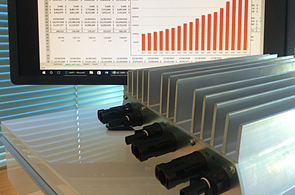 Ampt’s experienced engineers can advise installers and O&M providers on best practices. 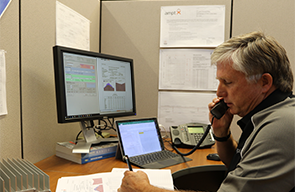 Learn how we work with you to evaluate the financial benefits of optimizing your PV system with Ampt, and then support you with engineering and design assistance to ensure project success.